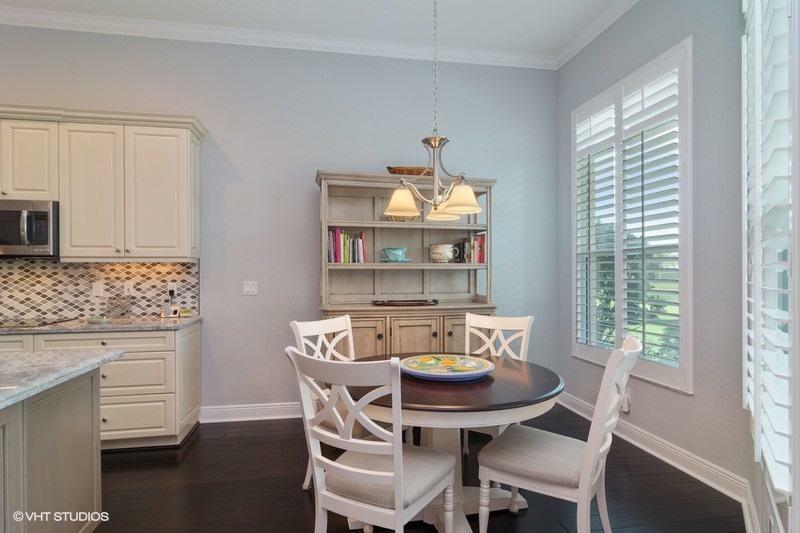 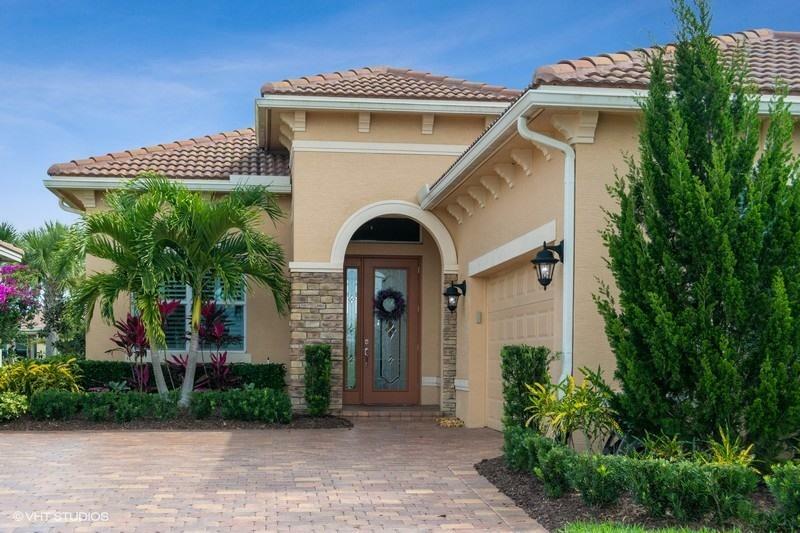 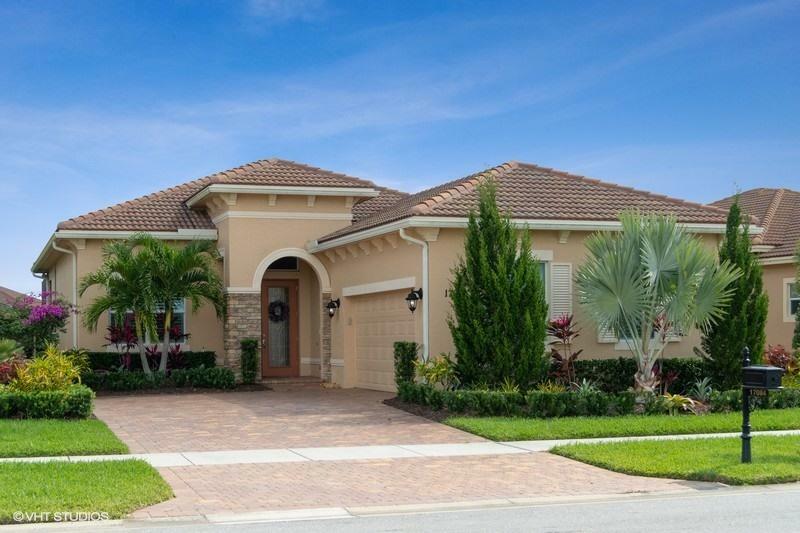 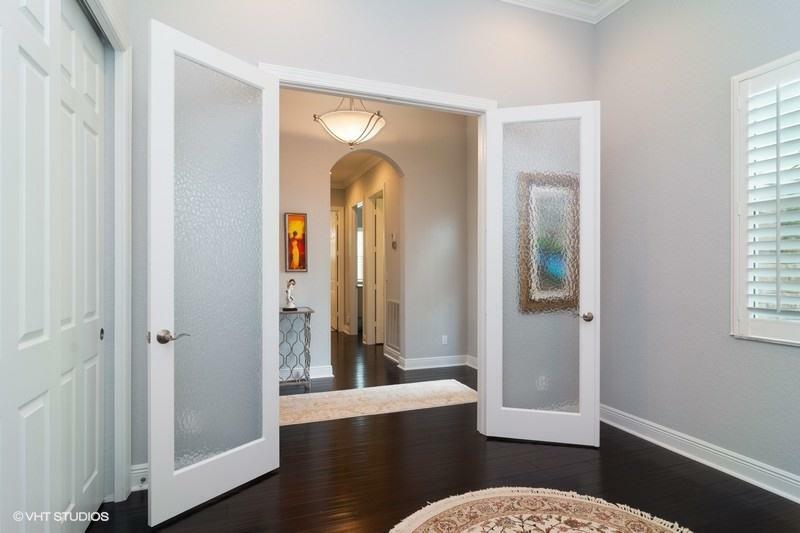 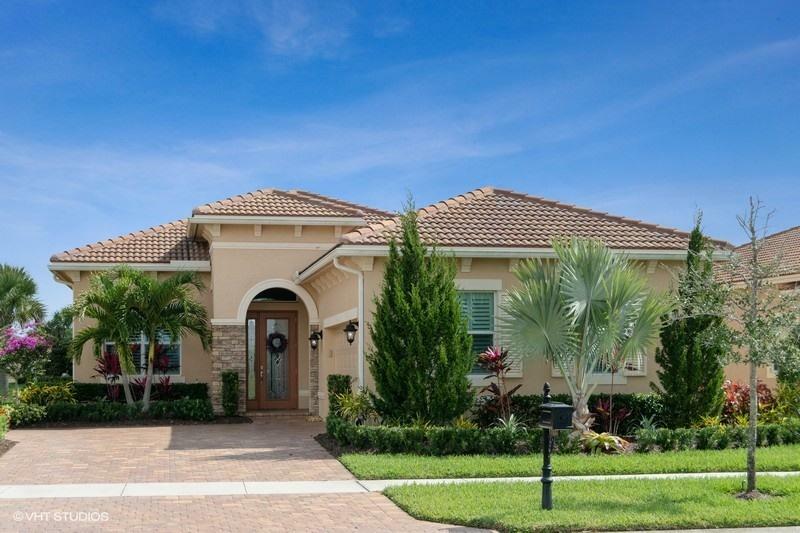 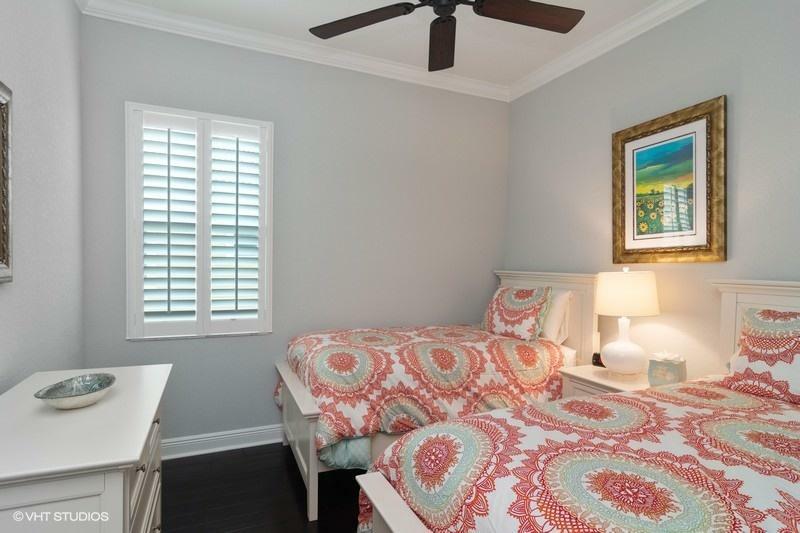 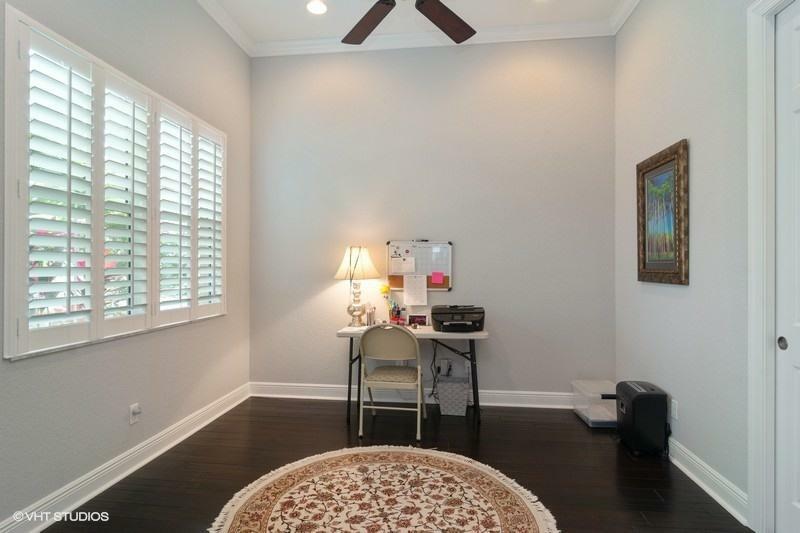 Public Remarks: Must see rare true 4 bedroom Alessa model with tons of designer upgrades. 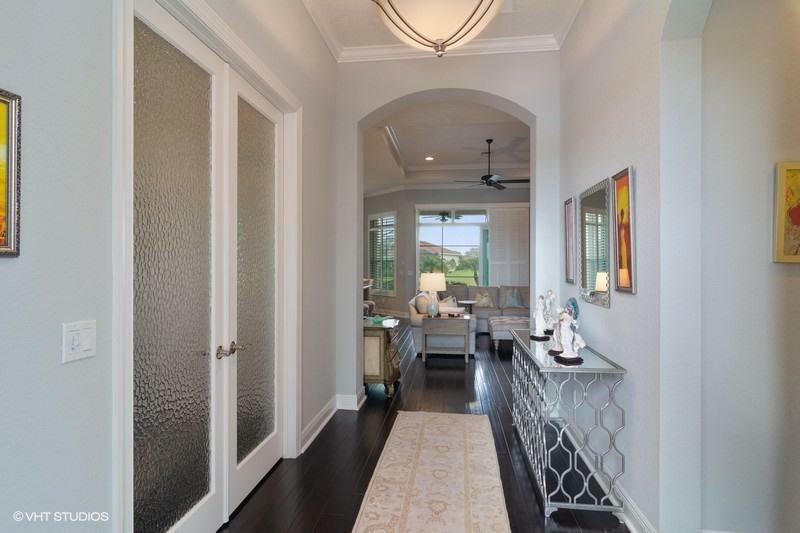 Modern & immaculate with a magnificent view of lake, fountain, & club house. 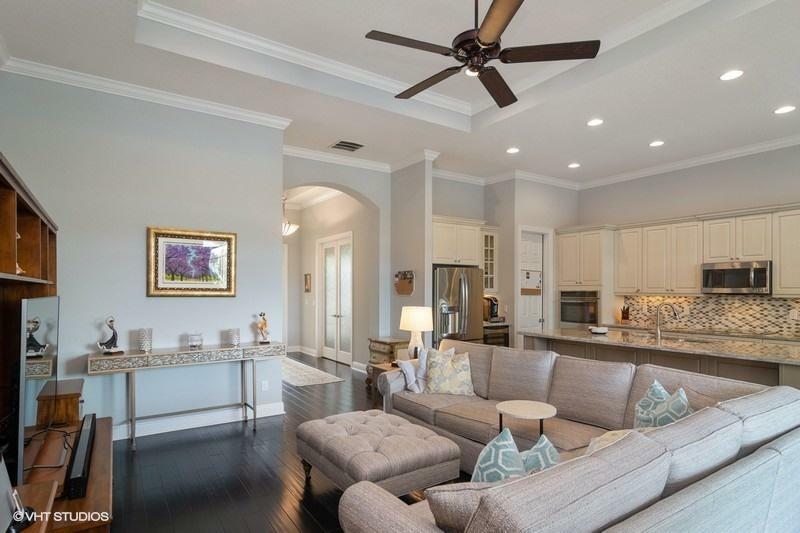 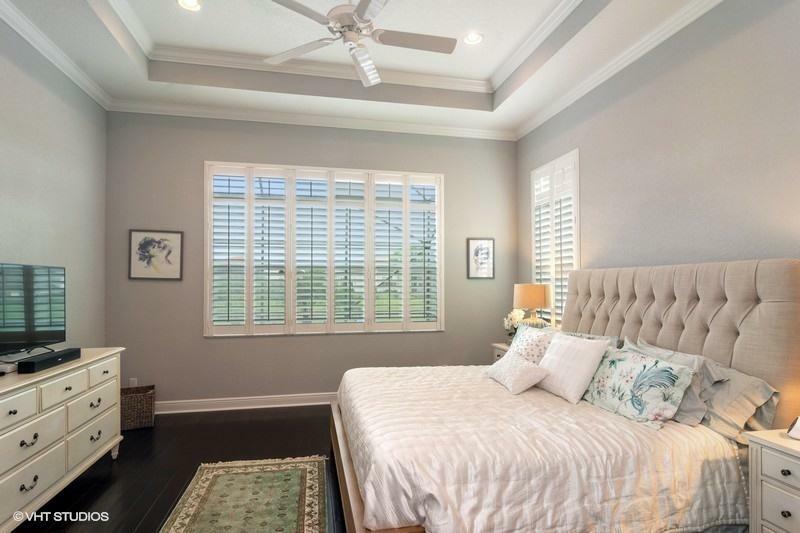 As you enter you will see a large open concept floor plan w/gleaming wood floors, plantation shutters & crown moldings throughout entire home. 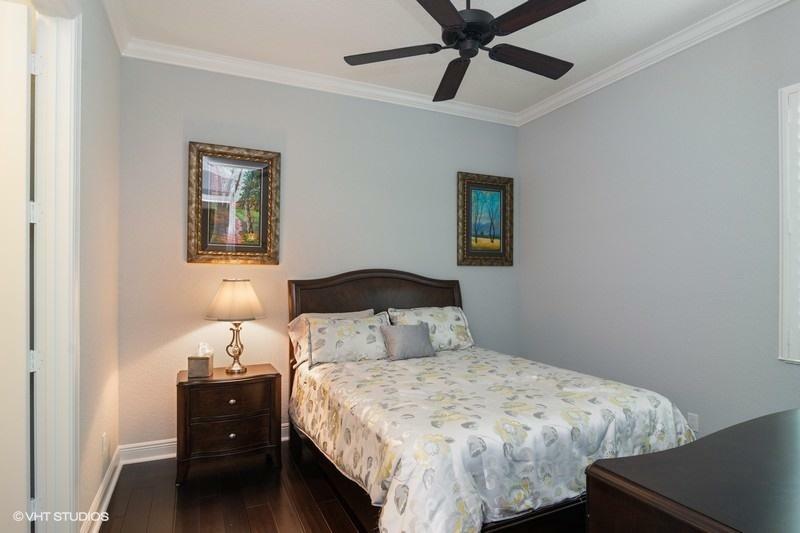 Split bedrooms offers privacy from the over-sized master suite, which has 2 walk-in closets both fitted with CA Concept built-ins. 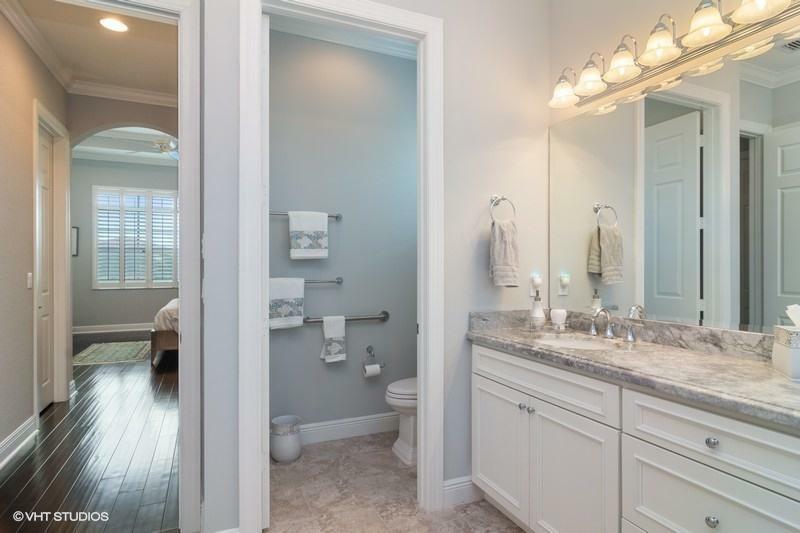 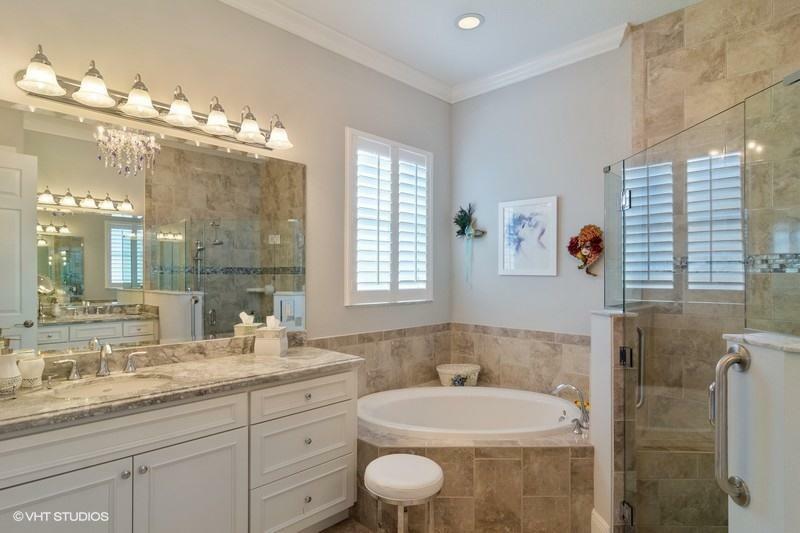 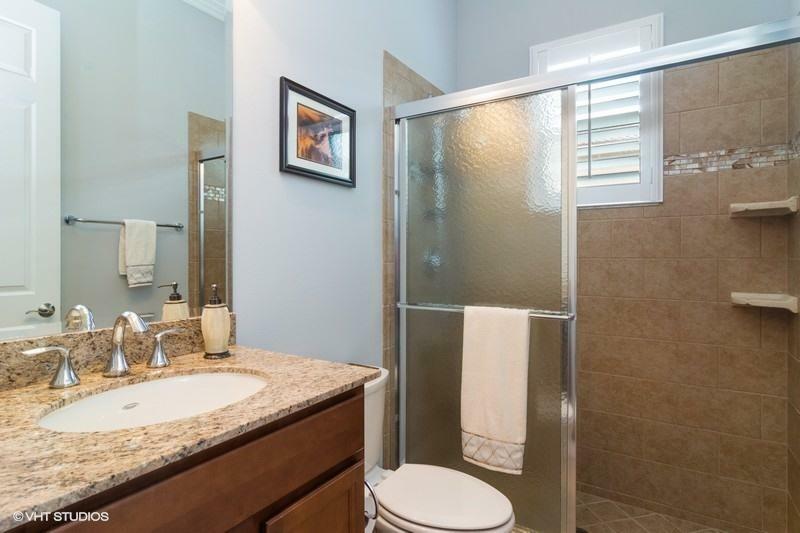 Master bath has double quartz vanities, large frameless shower & sunken tub. 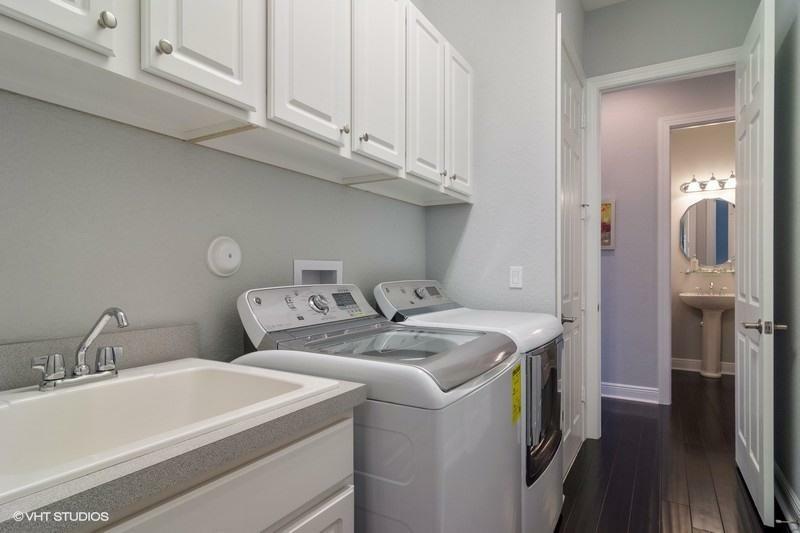 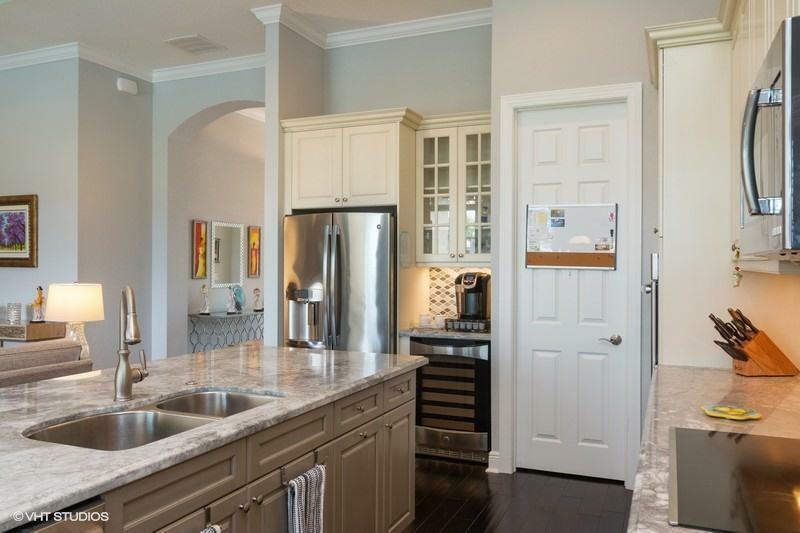 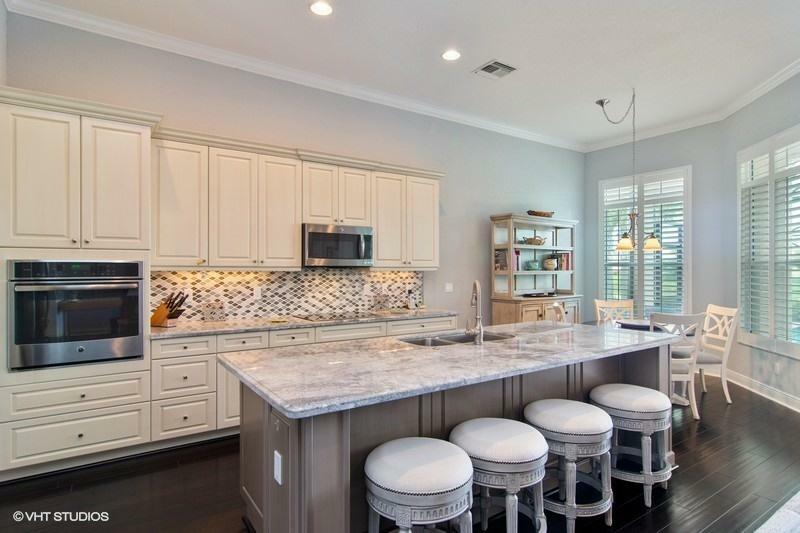 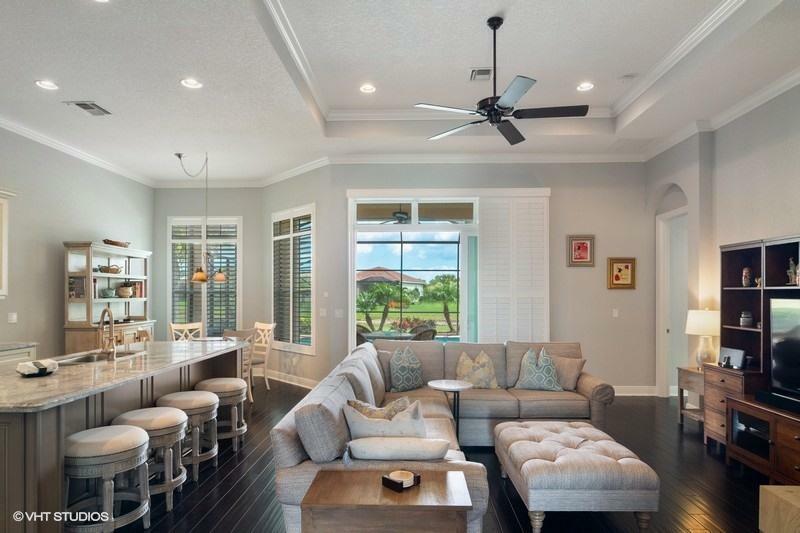 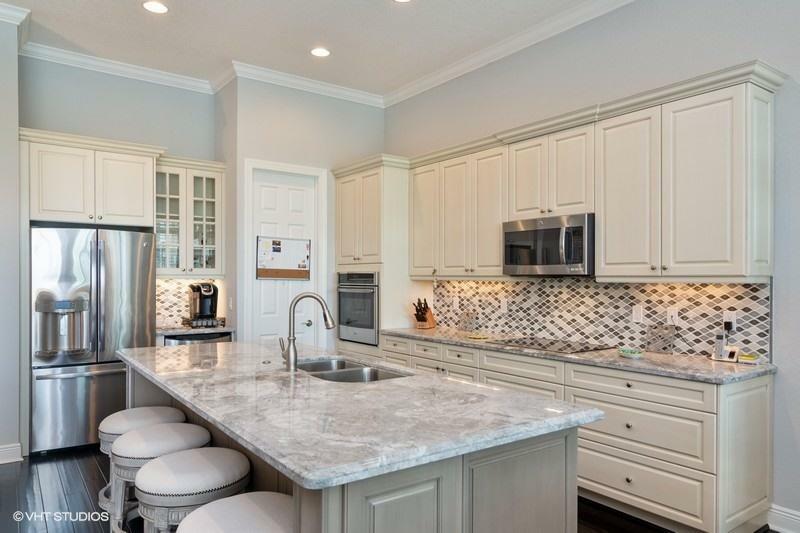 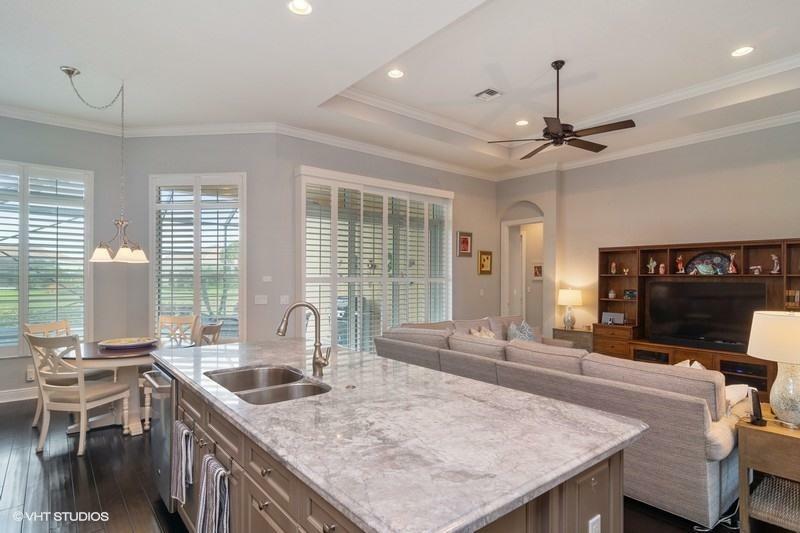 Eat-in kitchen boasts elegant quartz counter tops, island with snack bar area, designer back splash, upgraded cabinets with pull-outs, under counter lighting, stainless steel appliances, inc. wine chiller, plus a wine/coffee bar, & large pantry. 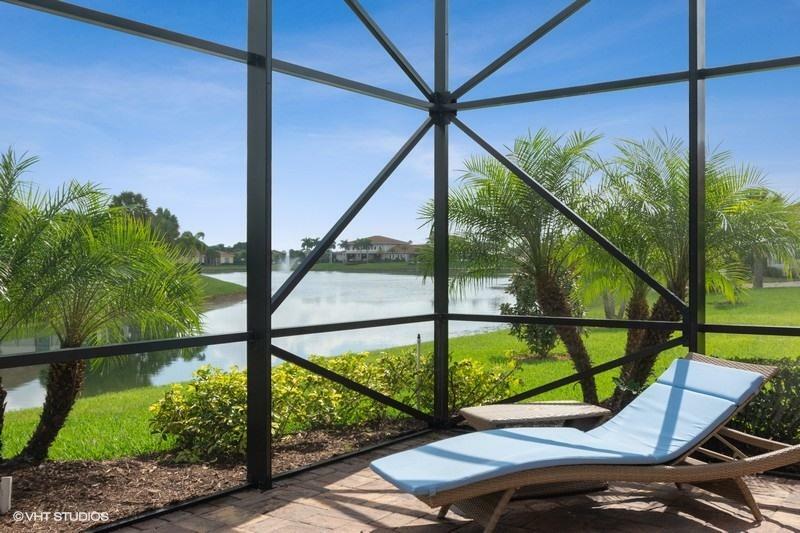 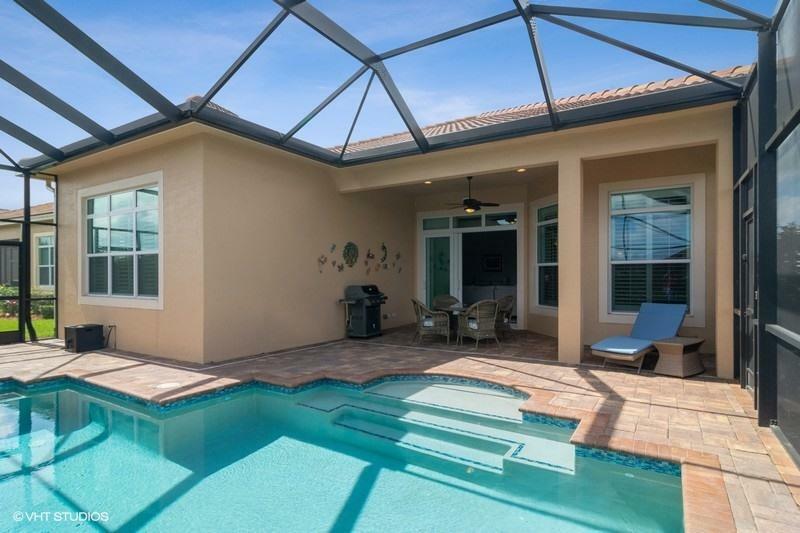 Covered lanai & screened pool overlooking lake.